What are the best stocks to buy? Is it stocks priced $10 or less, $100 or higher, somewhere between the two, or something else altogether? Company A might have 100 million shares outstanding and trade at $500 a share; Company B might have 5 billion shares outstanding and trade at $10 per share. Both have a market cap of $50 billion, but most investors would view Company A as the better stock despite there being no difference between the two. Of course, there are some reasons why investors might think this way. The most likely reason is that people want what they can’t have. To buy 1,000 shares of Company A, you’ve got to come up with $500,000. To do the same with Company B, you only need $10,000 — a big difference for anyone other than high-net-worth investors. The following, then, is a look at seven of the best stocks to buy at any price — it just depends on what you’re working with. Whether you have a small retirement account, or something with seven or eight digits, there’s something available to meet your needs. Here’s a look at these winners, ranging in price from a mixed drink to a modest mortgage. 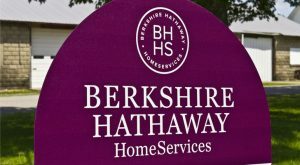 There’s not much to say about Berkshire Hathaway Inc. (NYSE:BRK.A, NYSE:BRK.B) that hasn’t already been said. Who isn’t in awe of Warren Buffett’s long-term performance? I could have gone with Amazon.com, Inc. (NASDAQ:AMZN), whose shares recently went over $1,000 — a feat I suggested might happen in 2017. It’s run by one of my favorite CEOs, too, but I’ve instead chosen to go with the octogenarian’s company that’s grown into one of the world’s largest mutual funds. Buffett is amazing, so if you’re rich enough to be able to buy a share or two of Berkshire Hathaway’s Class A shares, you darn well ought to. The A shares are priced that high specifically to keep would-be traders away, and instead only draw in like-minded long-term investors. Oh, and if you’re worried about what will happen once Buffett is gone, fund manager Whitney Tilson believes the company’s culture will carry on. I agree with that opinion, and I also think that the company will continue to be the first in line when business owners want to sell. Meanwhile, Berkshire Hathaway will continue to have the cash at its disposal to make things happen on the turn of a dime. That’s worth something in the real world. Intuitive Surgical, Inc. (NASDAQ:ISRG), known for its da Vinci robotic systems, has done well for its long-time shareholders … but not without a little anxiety along the way. Over the past decade, ISRG stock has seen three down years in 2008, 2010 and 2013. In those years, it averaged a negative total return of 32.5%, considerably worse than the S&P 500. However, it also has had some huge years, which is why Intuitive Surgical isn’t cheap. Intuitive has been the leader in robotic surgery the last decade, and with a move to automate nearly everything in our world, the company and its stock are sure to continue to play a significant part in the healthcare industry. Back in 2013, I recommended ISRG stock after a big drop on concerns about Obamacare. I said that when the markets overreact on the downside, load up on Intuitive Surgical, because unless the world changes direction, it has a great business for today and well into the future. Since that call, ISRG is up 117%. Any bad news in the future will likely see the same thing happen. Ulta Beauty Inc (NASDAQ:ULTA) might not have the same curb appeal as Sephora — owned by LVMH Moet Hennessy Louis Vuitton SE (ADR) (OTCMKTS:LVMUY), the world’s largest luxury retail conglomerate — but it’s growing exponentially with no end it sight. It’s not cheap, either, at 35 times forward earnings. But sometimes you have to pay a little more for this kind of growth — especially in an industry where the participants are dropping like flies. The experience economy is definitely upon us, and ULTA is leading the charge. Part hair salon, part beauty supplies retailer, it has managed to figure out how to balance its store footprint with its e-commerce business to deliver a quality customer experience. That’s critical to retail success. The most exciting part is that Ulta hasn’t yet moved beyond the U.S., where it has just 4% of the total beauty market and the potential for the buildout of another 400-700 stores in the next five to seven years. Of all the stocks I’ll recommended in this article, I believe ULTA has the biggest potential gains ahead of it. There are a bunch of attractive stocks in this price range, so it’s not going to be nearly as easy to pick just one from the 91 options available. In this instance, it’s quality over quantity. While I’m tempted to go with Nike Inc (NYSE:NKE) — a business whose stock I’d usually recommend, but because I can only pick one stock between $50-$100 — I’m going to go with Lululemon Athletica Inc. (NASDAQ:LULU) instead. LULU stock hasn’t had an easy go of it the last few years as its growth slowed and consumers started buying denim again. Down roughly 20% year-to-date and suffering losing years in four of the past five, CEO Laurent Potdevin, who joined the company in December 2013, continues to work at making the leisurewear company a global brand. Potdevin sees a $4 billion business by 2020. 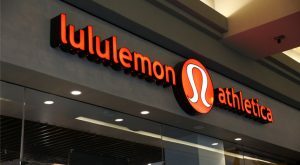 Lululemon plans to meet that goal by growing its retail store footprint in Asia and Europe to $1 billion in annual revenue, growing its e-commerce business beyond 18.7% of overall revenue, and generating $1 billion in annual sales from its men’s business. I think it can get there. Just making it under the $50 bar, Williams-Sonoma, Inc. (NYSE:WSM) is a company whose business model I have admired for some time. It made the news June 5, announcing that Alex Bellos — head of several of its newer brands — would succeed Jim Brett as president of Williams-Sonoma’s West Elm brand. Brett is leaving to replace Mickey Drexler at J. Crew. For many companies that would be a big loss but CEO Laura Alber is great at her job and was ready to fill the void left by Brett’s departure quickly. When I first wrote about Alber in 2014, she had delivered five straight years of positive returns since taking the job in 2010. I must be a jinx, because since then, WSM stock has had negative annual total returns of 21% in 2015, 14.7% in 2016, and is down 2.2% year to date through June 7. However, WSM is currently trading at less than 14 times earnings — its lowest multiple since 2008. Retail’s down and out, making now the perfect time to pick up this bargain. In 2014, Nomad Foods Limited Ordinary Shares (NYSE:NOMD) was created as a blind-pool company raising $500 million on the London Stock Exchange, which it would use along with debt to acquire Iglo Foods on June 1, 2015, for $2.9 billion. Nomad’s goal is to consolidate the frozen-food market in Europe. With a current market share of 13.8% in Western Europe and No. 1 in 10 of the 17 countries where it operates, it continues to look for acquisitions to further strengthen its hold on this part of the packaged goods industry in Europe. Firstly, it’s another investment vehicle of Martin Franklin, a serial acquirer if there ever were one. He owns 3.1% of the company. Second, its largest shareholder is none other than Pershing Square and Bill Ackman, who owns 18.3% of its stock. Yes, Ackman has had a tough time of late, but that only makes him hungrier for a big win. NOMD could be the one. Business development companies (BDCs) are very misunderstood by investors. Yes, they often have wonderfully high dividend yields — Prospect Capital Corporation’s (NASDAQ:PSEC) is 12.5% as of June 7 — but that’s because their stocks are incredibly volatile. In the case of Prospect Capital, it’s one of the largest BDCs in the U.S. with more than $7 billion in assets under management. PSEC invests most of it in first- and second-lien loans to middle-market companies — those businesses that are too small for the big commercial banks but whose lending requirements are too big for the small business office of your local retail bank. PSEC stock has lost 13% in the past three months, giving back all of its gains earlier in the year. Long-term, you might not hit a price-performance home run with this stock. But given that it must pay out 90% of its taxable income in the form of dividends, income investors still have every reason to be attracted. However, BDCs are notorious for cutting dividend payouts when business turns bad, including Prospect Capital, so be forewarned: You’re in for a bumpy ride. Consider PSEC the riskiest of my seven stocks to buy. 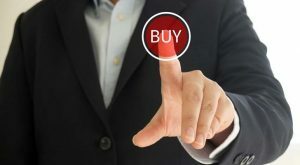 Article printed from InvestorPlace Media, https://investorplace.com/2017/06/7-best-stocks-to-buy-at-any-price/.